Asher Brown Suicide: Was Anti-Gay Bullying to Blame? (CBS/AP) Is life really harder for gay teens and other young people who don't confirm to "gender norms?" Absolutely, a new study says. It showed that the mental health of lesbian, gay, bisexual and transgender (LGBT) young people is severely compromised by bullying and harassment they receive in school. 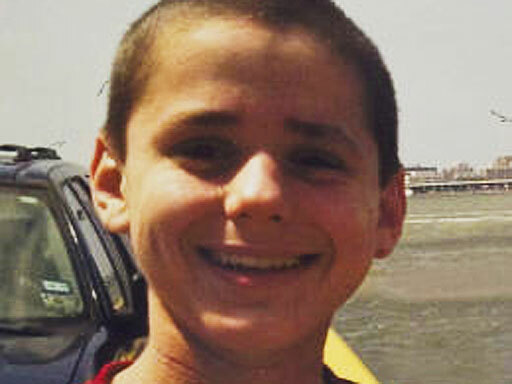 The study comes on the heels of the suicides of Asher Brown, a 13-year-old in Houston who fatally shot himself after his classmates reportedly made fun of him because they believed he was gay, and of Tyler Clementi, a Rutgers University student who killed himself after another student posted video on the Internet of him making out with a man. The study examined the school-related experiences of 245 LGBT young adults between the ages of 21 and 25. It found that LGBT young adults reported higher levels of depression and decreased life satisfaction. The scientists behind the study called on schools to take action to address the bullying, violence, and social isolation that LGBT youth face, including the implementation of education programs for students and faculty, offering support programs, and protecting students through tough antidiscrimination policies. "Our research makes it crystal clear that anti-LGBT bullying is a major reason that youth who don't conform to gender rules or expectations have poorer mental health later in life," study co-author Stephen T. Russell, a consultant with the Family Acceptance Project at San Francisco State Univeristy, said in a written statement. The study was published in the November issue of "Developmental Psychology."